Astrology is the study of how the positions and movements of the stars influence our life and behaviour and the events that take place in the world. It provides an alternative perspective on the human condition –a perspective based on the observation of the movement of the celestial bodies composing our solar system. However, it does not operate on the assumption that our actions and the day-to-day situations we find ourselves in should be attributed to the planets; in essence, it posits the idea that the planets offer a celestial illustration of our life. In other words, in the same way that the mirror reflects our image, the planets reflect our life; we can neither blame our image on the mirror nor expect it to send back a reflection of ours aligned with our wishes. This simple maxim encapsulates the philosophical notion underpinning astrology: the microcosm and the macrocosm are interconnected and mirror each other. In order to analyse and interpret the image reflected off the sky, astrologers employ ancient mythology, psychology, mathematics, and geometry; they also draw on a wide array of diverse spiritual theories which vary in each case depending on the type of astrological analysis intended. Metaphysics is an integral component of astrology and embracing it is a necessary condition for accepting the legitimacy of the astrological reasoning. Astrology sprang from man’s first attempts to examine and understand the motion of the stars. The phases of the Moon, for instance, were once used as a method of measuring the passage of time. The roots of astrology can be traced back to Mesopotamia, the site of numerous early civilizations, and the ancient Maya culture. Apart from contemporary Western astrology, there are also several other astrological traditions, such as the Hindu and the Chinese one. 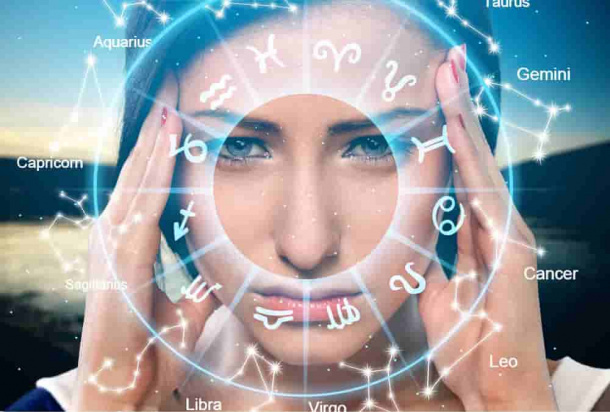 One of the most fundamental elements of modern Western astrology is the Horoscope, namely a graphic representation of the sky that gives birth to the charts on which astrological analysis is based. The answer to the question whether astrology constitutes a science or not is negative. As previously mentioned, the astrological conception of the world involves metaphysical elements, while science rejects metaphysics as not explaining things in a rational, objective manner. Although astronomers, for example, do not refer to the Sun and the Moon as “planets”, astrologers do treat them as such; and despite the astronomical degradation of Pluto to a dwarf planet, its standing in the realm of astrology has remained intact. Before the emergence of modern science and the subsequent exclusion of all non-logical, non-scientific elements from the interpretation of the world, astrology had occupied an eminent place in the history of human thought; it used to be regarded as a constituent part of astronomy and philosophy, and it would even be employed in the fields of medicine and politics. Many astrologers prefer to think of the study of the stars as a form of art. Astrology no longer aspires to be perceived as a science, but it can still be useful; it endows our worldview with imagination by offering explanations for things we otherwise would not notice and by showing us how to improve our life. Astrology remains relevant in the modern world as a spiritual framework giving shape to our existence and affording us a sense of order and meaning. Playing a central role in astrology is the birth chart –the “picture” of the sky at the moment of our birth. This picture is considered illustrative of our personality; it sheds light on our behavioural inclinations and habitual ways of acting, while simultaneously guiding us toward self-actualisation. The birth chart consists of 12 Houses –which represent different areas of our life– and depicts the distribution of (and the aspects formed between) the planets in them at the time of our birth. The events in our life and the psychological changes we undergo from our birth onwards are signified by the movement of the transiting planets through the Zodiac and their relations (the aspects they form) to our natal planets. The above saying indicates the most fruitful way of approaching and using astrology. Astrology teaches us that there is no such thing as an inescapable, predetermined fate. It enriches our knowledge of our self, deepens our insight into the situations we experience, and enlightens us as to how they might evolve. It postulates that we can actively participate in shaping our destiny instead of passively observing it unfold. In other words, astrology does not encourage a static, deterministic perspective on life. It illuminates the dynamic changes occurring throughout our life and operates on the principle that the direction of these changes can only be determined by us. It unveils both the best and worst facets of our character and lets us decide for ourselves which ones to express. There may be no explanation as to how the stars can mirror life on Earth. Perhaps the answer lies in planetary magnetic fields. Regardless of whether or not its claims can be substantiated rationally, astrology consists in a set of assumptions based on the precept that the world is a system of interacting forces. All aspects of the universe are bound by the same rules; humans are at one with the stars, and the stars are at one with humans.